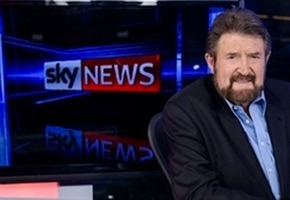 Derryn Hinch will join SKY News in 2015, hosting Hinch Live on Saturday and Sunday nights. The show will complement weeknight opinion show Paul Murray Live. “I’m really excited to join SKY News for Hinch Live . I came very close to being dead there not so long ago — so this is really special. “With a new show out of Melbourne, I think we can really add some excitement to Saturday and Sunday night viewing. Australian News Channel CEO, Angelos Frangopoulos said: “Derryn is one of the great Australian broadcasters and I’m delighted that he’s agreed to join SKY Newsat our new Melbourne studio centre. Hinch has also written on his blog that he would have liked to hosted Today Tonight, but ‘carpet-strollers’ at Seven knew his style contradicted the show’s content. The SKY show begins 9pm Saturday January 31. Panel shows = the current irritant of news and current affairs and a modern day ‘landfill’ to plug the 24 hour media cycle in a cost effective way whilst still airing suburbia’s insecurities. If Sky News moves even just more the right the television will fall off my bookshelf. Aargh not another panel show! What ever happened to presenting news? I’ve switched off watching Sky News because of the too many panel shows, ABC24 for me! !